I almost always wear perfume so it makes sense that my latest obsession is hair perfumes or hair mists. This is my current favorite. Your hair is a great place to spray fragrance because it holds on it for a long time and is always in motion which helps to diffuse the scent. Your typical perfume likely components in it that may be bad for your hair but hair perfumes have a lower alcohol content (better for your hair) and are usually created to also give your hair a little extra shine and softness. 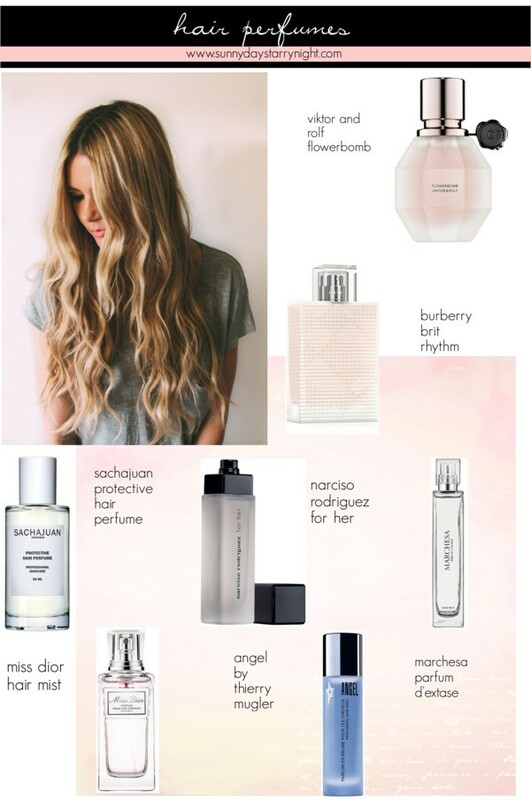 Is hair perfume part of your beauty routine?